The 2017 South Florida Collegiate League playoffs will begin Friday July 21st at 3PM at Little Fenway in Delray Beach. Expect to see high quality championship baseball as the teams will be putting forth their best pitching and offensive lineups to try and capture the SFCBL Championship. 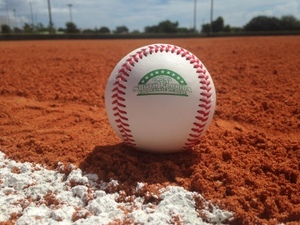 The opening rounds will begin at 3PM with the #4 seed Coral Springs Royals taking on the #5 seed Phipps Park Barracudas. In the 630PM game the #3 seed Palm Beach Xtreme will play the # 6 seed West Boca Snappers. The #1 seed Pompano Beach Clippers and #2 seed Delray Beach Lightning will receive a first round bye and will play in the second round Saturday July 22nd. Game 1 on Saturday will feature the #2 Delray Beach Lightning vs the lowest seed at 10AM and Game 2 will feature the # 1 Pompano Beach Clippers vs the highest seed. The three game championship series will begin on Sunday July 23rd with a double header starting at 12PM. All post season games will be held at Little Fenway in Delray Beach and can be followed live on Pointstreak. Games will also be broadcasted live through the voices of Florida Southern Assistant Coach Jimmy Redovian and former NY Met Steve DeMatties.